Ever since the Bill Ward saga began one question has come up again and again at Rhythm HQ - who would be at the kit when the metal icons recorded their new album? Well, now we know. 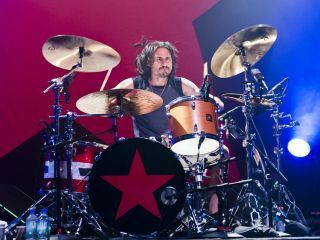 Rage Against The Machine's Brad Wilk has leant Sabbath a hand as they laid down new album 13. The record is set for release in June, although UK tour dates are set to be announced. So, Sabbath with Wilk , what do we make of that, then? It sounds pretty darn awesome to us.